Senior figures in the Labour and Green parties have pledged to introduce a national, free, needs-led system of support, after a report showed that the Independent Living Fund’s (ILF) closure resulted in “substantial” cuts to disabled people’s care packages. 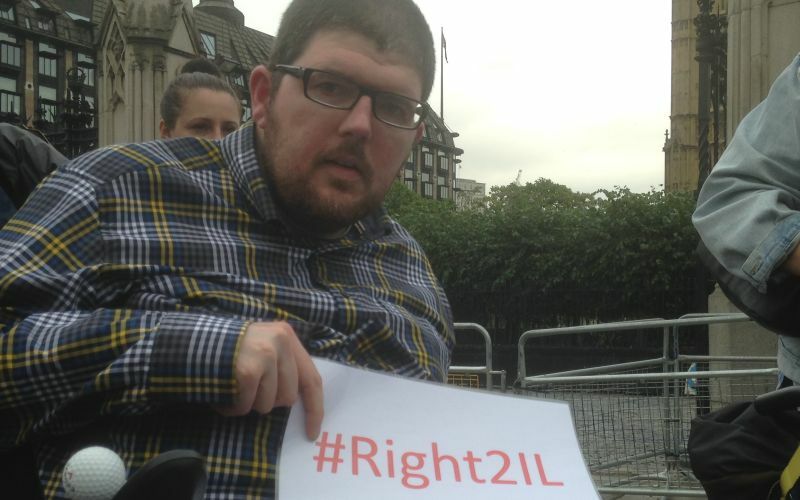 Inclusion London’s report – One Year On: Evaluating The Impact Of The Closure Of The Independent Living Fund – was launched in parliament this week as part of the Rights Not Games week of action planned by Disabled People Against Cuts to coincide with the start of the Rio 2016 Paralympics. The report includes analysis of freedom of information responses received by Inclusion London from each of the capital’s 33 local authorities, which show vast differences in the proportion of former ILF recipients whose packages have been cut after the fund’s closure. 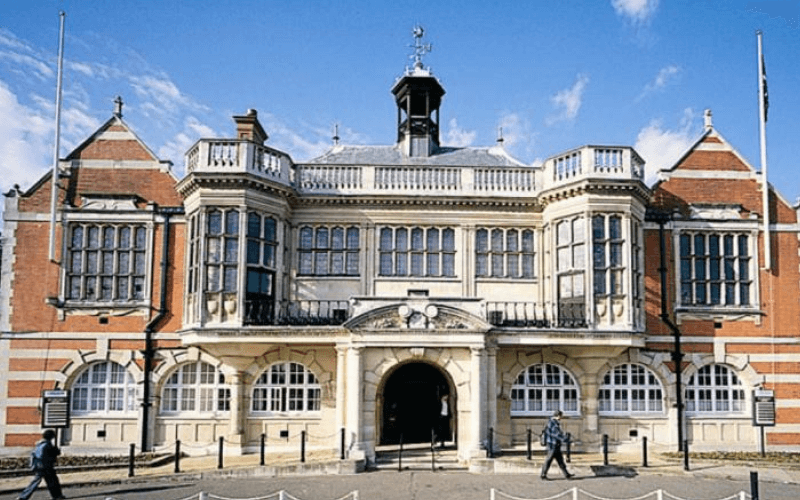 In Waltham Forest, 68 per cent of former ILF-users had their support cut, while 58 per cent saw their package reduced in Hounslow, 56 per cent in Newham, 51 per cent in Havering, 42 per cent in Merton and 36 per cent in Lewisham, while in 10 boroughs no former recipients had their packages reduced. In all, about 185 former ILF recipients in London have seen their support cut so far, about one in seven. Brian Hilton, the former ILF recipient who chaired the launch meeting, said closing the fund in June 2015 had “sent a clear message to disabled people and an equally clear message to society that we are a burden and we are an unacceptable expense”. He said the report shows that some disabled people are having their support “slashed in half”, and having night-time care removed. Among its recommendations, the report calls for a new national, needs-led system, independent of local authorities, to administer independent living support, which is free at the point of delivery and funded by taxation. The report also includes the experiences of some former ILF recipients from outside London. One of them told the report’s researchers: “Apparently all I need is to be clean and fed. “My County Council will only pay for ‘hands on personal care’ which can all be condensed into a couple of hours a day. Jonathan Bartley, the newly-elected co-leader of the Green party, who took on the job-share role because of his own caring responsibilities for his disabled son, told the launch meeting that his party would support “every recommendation in this report”. In an emotional speech, that more than once left him close to tears, he praised the “outstanding” report, which detailed “real lives, real stories, real families”, and said that it was “just not acceptable for a government to do what it is doing”. Bartley, who was making his first official appearance as co-leader, told the meeting: “I see my 14-year-old son and his fight and it scares me. Labour’s shadow chancellor, John McDonnell, who has consistently spoken out against the ILF closure and other cuts to disabled people’s support, told the meeting that the report was “unchallengeable”. He said that the decision to shut the fund had forced disabled people into residential homes, and that central government was forcing local authorities to cut social care. McDonnell said he supported the report’s recommendations, which would provide the “basis” for a future Labour government’s policy on independent living support. After he was asked to do so by Bartley, McDonnell said he would write to Labour-run councils to ask them to ring-fence the grant that central government was giving councils to replace ILF funding, so that it was spent only on former ILF recipients. He said: “We will do that. We will talk to individual councils about how they can protect the funding here. After the meeting, activists took part in a protest that moved down Whitehall, before disabled artists performed songs and poems in front of the gates of Downing Street. One of the performers, John Kelly, a former ILF recipient, said: “We are not asking for anything special. What we want is basic human rights. “The right to live an independent life is something everyone else can have and we want a bit of it back and we are not going away. Kelly called on the government to publish a report that has been compiled by the UN’s committee on the rights of persons with disabilities into alleged “systematic and grave violations” of the UN disability convention, which he said the government was “sitting on”. The Inclusion London report says there has been a “dramatic postcode lottery” in the support provided to former ILF recipients in London since the fund closed in June 2015, resulting in a “clear step backwards in independent living support” for disabled people. It says the fund’s closure had caused “distress and anxiety” and led to the removal of essential daily support. And it says that where packages have been maintained at their previous level, this has only happened because local and national lobbying by disabled people had persuaded the government to promise four years’ of non-ring-fenced grants to local authorities. Only six boroughs told Inclusion London they were ring-fencing the government grant for former ILF recipients, while 18 said they were ring-fencing it to adult social care, and five said they were not ring-fencing it at all. The report concludes: “The postcode lottery of support provision this research reveals is simply not acceptable. As well as a new, national system of support, the report also calls for an independent living taskforce, to be led by disabled people; the “urgent” introduction of a system to monitor how local authorities are implementing the Care Act; and for the government’s ILF grant to continue to be paid to local authorities (and to be ring-fenced for former ILF recipients) until a national, independent social care system is operational. ILF was funded by the Department for Work and Pensions, and by last year it was helping nearly 17,000 disabled people with the highest support needs to live independently. But ministers decided it should be scrapped, promising instead that nine months’ worth of non-ring-fenced funding would be transferred to councils in England and to devolved governments in Wales and Scotland, to cover the period from its closure last summer to April 2016. The Scottish government has since set up its own ILF for existing recipients in Scotland, while the Welsh government has set up a ring-fenced, local authority-run grant scheme that will run until at least 31 March 2017. The government announced in February that it would provide another four years of transition funding to local authorities in England in 2016-17 (£177 million), 2017-18 (£171 million), 2018-19 (£166 million) and 2019-20 (£161 million), but that the money would again not be ring-fenced.